Stoke-on-Trent is an perfect location for a same day courier company, due to being located almost within equal distance from three major cities, Manchester, Birmingham and Leeds. It also benefits from easy access to the rest of the UK, due to the M6 running almost parallel to it. 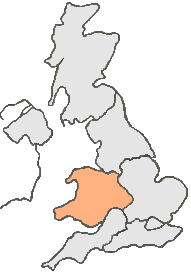 Stoke is a area for distribution and service industries, making the choice of which delivery company to use a difficult one. Courier Expert can make this choice simpler, as we are a highly professional same day courier service which also offers a personal touch. Courier Expert has a reputation for caring about it’s customers and our friendly staff are ready and waiting to discuss all your courier service requirements. So, whether you’re planning to send a parcel, package or pallet load, give us a call today and get your delivery on it’s way. So, if you’re looking for a Same Day Courier Stoke-on-Trent call us now on: 01782 436060.